Small changes can make a big impact on your life. You can set your goals in motion by simply mentally committing to what you want to accomplish and just start. I’m happy to report that I’m still going strong with my new year’s resolution for 2015 – to live healthier by eating better. I incorporate loads of fruits and vegetables in my diet and have drastically cut back on consuming greasy food and baked goods. I’m feeling better and have lost about 20 lbs so far. Seeing these results has motivated me to continue on this path. I’m not going to fall off the wagon this time. It’s time to #BeActiv! If this is the first time you’ve heard the term #BeActiv, let me quickly explain what it means. #BeActiv is about making positive changes in your life whether that is exercising more, eating better, volunteering your time for a cause you believe in, relaxing more, pursuing a new hobby, etc. It can mean many things to different people. It can be a small change or a huge leap – you decide! 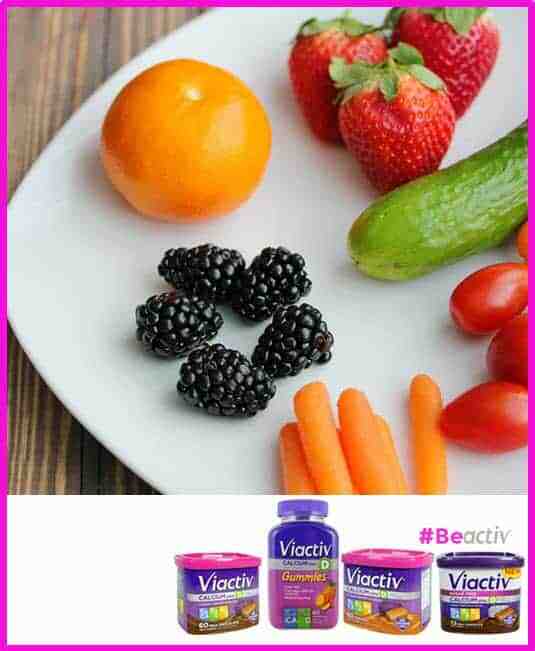 For me, #BeActiv is eating better and taking care of my body. It’s with me for life! It’s very important to me to make sure I’m also getting enough calcium. My mom is always reminding me about taking my calcium because of her own health concerns. If your body isn’t getting enough calcium, it will start to take it from your bones. As a result, your bone mineral density will drecrese which can eventually lead to osteopenia and osteoporosis. Calcium is also important to maintain healthy teeth, muscles and keep your nerves functioning properly. It’s recommended that people age 19-50 get 1000mg of calcium per day. For teens, that amount is even higher at 1300 mg per day. I have a 16 year old daughter who I want to make sure also gets enough calcium. The Journal of Nutrition published a study in 2010 that stated that 86% of teen girls do not get enough calcium in their diet. Olivia needs to start banking calcium now so she won’t run into any issues when she is older. Calcium isn’t manufactured in the body so the way we get it in our system is through outside sources like food and supplements. Over the past month, I’ve been taking Viactiv Calcium Soft Chews as a daily supplement. They are available in milk chocolate, caramel and sugar-free milk chocolate flavours. I also learned that they are the #1 doctor-recommended calcium supplement chew! 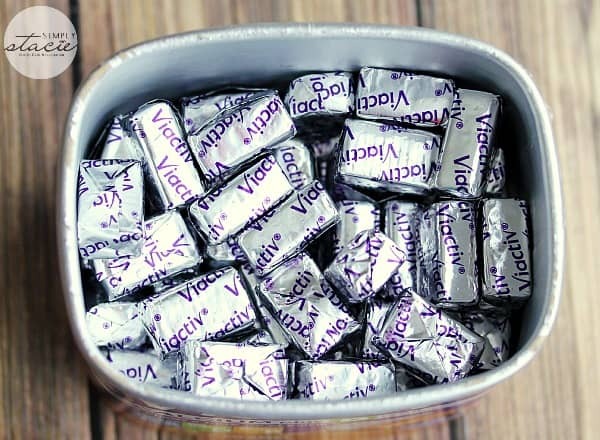 Taken twice daily, one Viactiv Calcium Soft Chew provides 100% of the daily value of calcium for most women. They are also a source of Vitamin D & K. I like taking them because then I know for sure that I am getting enough calcium in my diet and they also taste delicious! I look forward to my little sweet treat twice a day. My favourite ones are the caramel flavoured! Who knew taking a supplement could taste so good? 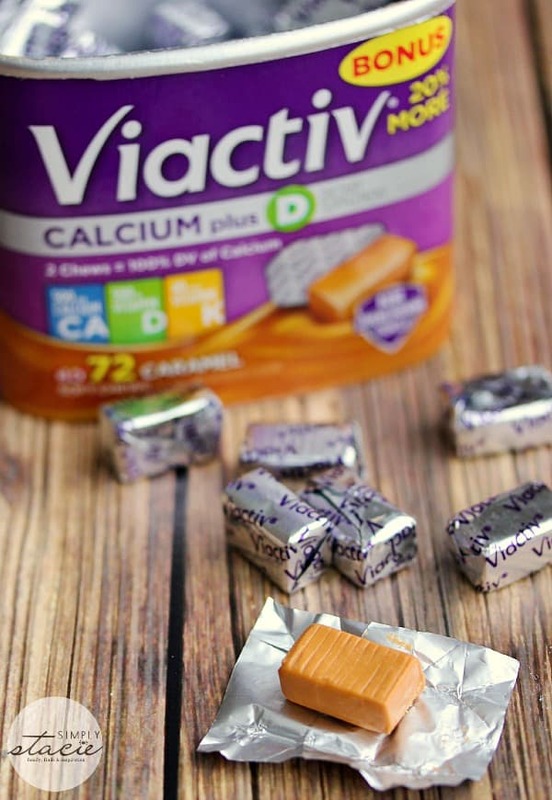 Making sure I’m getting enough calcium is super easy now that I’m supplementing with Viactiv! My teen daughter has been getting her calcium via Viactiv Gummies. They are taken twice daily and provide 100% of the daily value of calcium as well as vitamin D, which supports the absorption of calcium. They come in assorted fruit flavours in each bottle like tropical strawberry, peach-mango and pineapple. Olivia takes one in the morning before school and then another after dinner. I feel better knowing that she is getting her recommended dose of calcium in case her diet isn’t covering it. She eats like a bird! 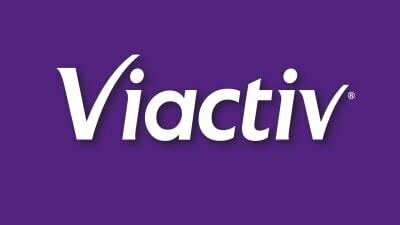 Connect with Viactiv on Facebook. This is a product-provided, sponsored conversation written by me on behalf of Viactiv . The opinions and text are all mine.